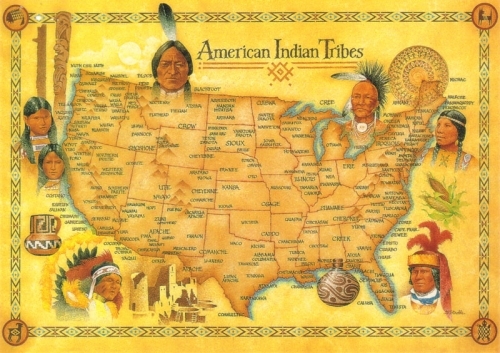 "Native American Indian Tribes" postcard locates over 300 original territories of the major American Indian tribes. 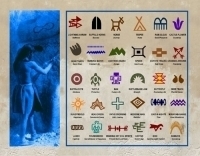 Each location has been approved by the tribal council. Artwork is from an original painting by Bill Strobel. 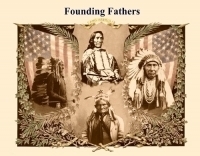 Jumbo postcard measures 5"x7" Great for classroom and learning projects.